Today is release day for Swedish metal unit Ghost, but their Prequelle celebrations were marred by tragedy when a man died mid-set during their concert on Thursday (May 31). 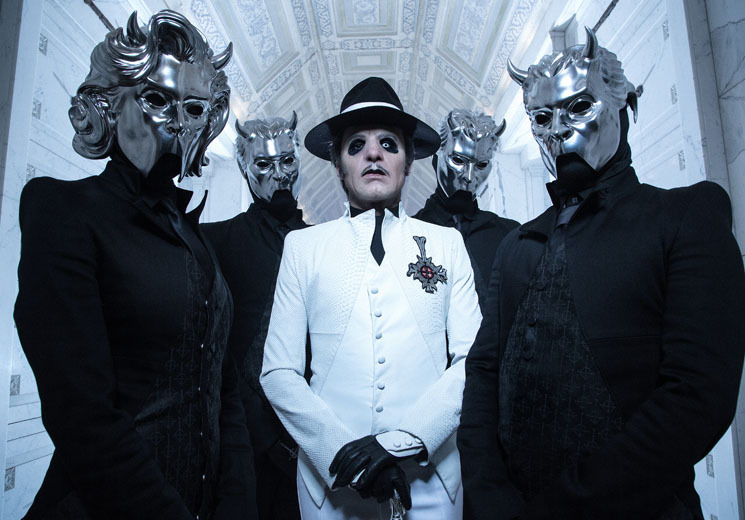 Ghost were reportedly halfway through their set at the Riverside Theater in Milwaukee, WI, when a man reportedly died in the crowd, Lambgoat reports. The band decided to cancel the remainder of their set. According to witnesses, a man passed out and was eventually attended to by paramedics. Although CPR was performed on the concertgoer, paramedics were unable to revive him. The concert was in support of Prequelle, which came out today via Loma Vista. You can read Exclaim! 's new interview with Ghost here. Ghost Plot North American "Ultimate Tour Named Death"